Nagarkot Changunarayan day hike offers a wonderful opportunity to explore the panoramic views of snow-capped lofty Langtang Range Mountains from Nagarkot accompanied with a visit to an ancient temple - Changunarayan Temple and Durbar Square of Bhaktapur both listed in UNESCO World Heritage Site. Similarly, Nagarkot Changunarayan day hike is an excellent alternative to breathe the natural fresh air taking a break from the busy city with the bird's eye view of the Kathmandu Valley. The journey begins with an hour and a half scenic drive to Nagarkot. Roads up to the Bhaktapur is straight and city road. Whereas, the rest are ascending hilly rounded road and passes through many terrace field. Nagarkot is the hill station situated at an altitude of 2100 meters and 35 km to the east of Kathmandu Valley. 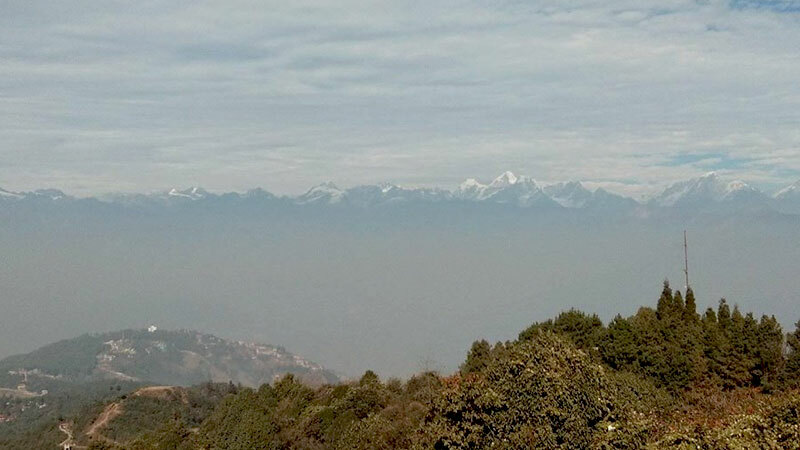 Nagarkot is basically popular for the magnificent views of many giant snowy peaks like Shisha Pangma, Langtang, Ganesh Himal and lots more and being witness to view the sunrises and sets over these Himalayas. After reaching Nagarkot, our Nagarkot Changu Narayan day hike will be commenced. First, we explore the Nagarkot and the aerial views of the soaring mountains then, walk descending to Changu Narayan Temple. The journey passes through the remote villages inhabitants by Tamangs and Newars. We can learn about their lifestyles and tradition that is untouched with the modern Kathmandu. After hiking for four hours we will reach Changu Narayan Temple. Changu Narayan Temple is the oldest temple in the history of Nepal. Changu Narayan Temple is built by LIchhavi King Mandev and the shrine is dedicated to lord god Vishnu. The temple is too included in the UNESCO World Heritage Sites. Visit the temple and drive to Bhaktapur Durbar Square. After sightseeing drive back to Kathmandu. Day 01: Nagarkot Changunarayan Day Hike. After breakfast at your hotel, pick up and drive to Nagarkot. Nagarkot is 35 km from Kathmandu and takes 1:30 hrs drive. Visit Nagarkot and view the mountains. The hiking will be last for four hours. Visit Changunarayan Temple and drive to Bhaktapur. Sightseeing at Bhaktapur Durbar Square and back to Kathmandu. Nagarkot Changunaryan Day Hike trip finished here! Kathmandu to Nagarkot drive by a private car. Sightseeing at Changu Narayan and Bhaktapur. Changu Narayan to Bhaktapur to Kathmandu by a private car. Wants some modification on Nagarkot Changunarayan Day Hike itinerary? contact us to customize it.